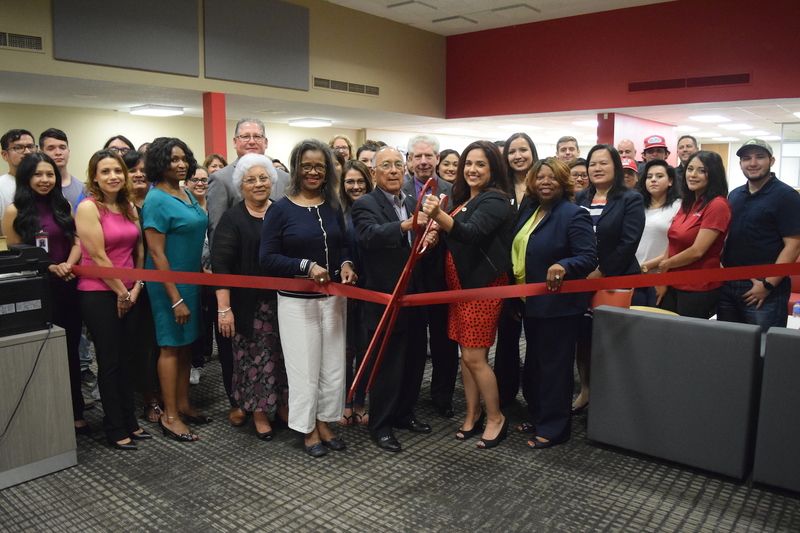 Lee College students, faculty, administrators and regents prepare to cut the ribbon at the new STEM Hub during a grand opening celebration held Monday, Sept. 18, 2017, at Moler Hall in the heart of campus. The hub is funded through a multimillion-dollar Hispanic-Serving Institutions STEM grant from the U.S. Department of Education. It offers all students access to computers with instructional and professional software, as well as free printing and free tutoring in biology, chemistry, engineering, human anatomy and physiology, all levels of math, physics and process technology. BAYTOWN, TX — Lee College students tackling science, technology, engineering and math (STEM) assignments have a new place on campus to access computers loaded with instructional and professional software, and receive free tutoring for everything from algebra to anatomy. The college and community celebrated this week the grand opening of the STEM Hub, an expanded facility in the heart of campus that provides space for students to focus on what many consider their most challenging subjects. The hub includes both PCs and Macs equipped with programs students use in their classrooms and labs, like AutoCAD, MatLab, Visual Studio and the Microsoft Suite. There is also ample room for tutors to work with students individually and in groups on biology, chemistry, engineering, human anatomy and physiology, all levels of math, physics and process technology, as well as free printing for up to 10 pages of material through the fall semester to help those impacted by Hurricane Harvey. Funding for the STEM Hub came from a multimillion-dollar grant awarded to the college by the Hispanic-Serving Institutions (HSI) division of the U.S. Department of Education to increase awareness, enrollment and completion of STEM degrees for Hispanic and other underserved student populations. The college was selected to receive HSI STEM grants in both 2011 and 2016, and used grant funds to establish the first STEM Center on campus in 2013. Student feedback from the original STEM Center helped administrators plan the additions and improvements at the new hub. Karen Chavez, a former Lee College student now pursuing a degree in surgical technology, knows firsthand how overwhelming STEM courses can seem. Now a tutor for human anatomy and physiology courses, she tries to keep students focused on what they want to achieve by finishing their degree program. BAYTOWN, TX — Lee College will celebrate Hispanic Heritage Month and national Hispanic-Serving Institutions (HSI) next week with the grand opening of a new campus hub for science, technology, engineering and mathematics (STEM), and special guest appearances from artist and author Marlon “Marley” Lizama and entrepreneur and recording artist Stefani Vara. The kickoff for the HSI Week festivities will be the unveiling of the newly renovated STEM Hub at 11:30 a.m., Monday, Sept. 18, in Moler Hall. 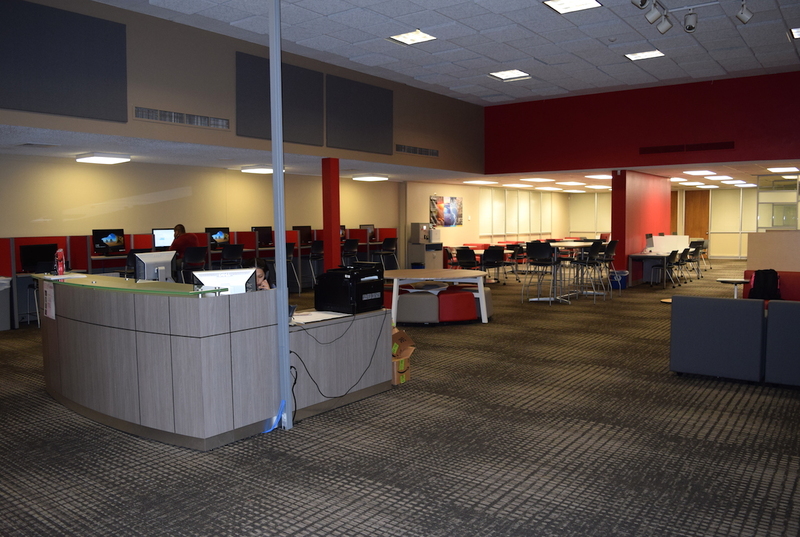 Funded by a multimillion-dollar grant from the U.S. Department of Education, the original STEM center opened in 2013 to provide students with a dedicated space on campus to use the Internet and printing, receive free tutoring and meet with study groups. The new hub is also funded through the federal HSI STEM grant, which is designed to increase awareness, enrollment and completion of STEM degrees among Hispanic students and other underserved populations. Lizama — a poet, writer, author and dancer who focuses on the cultural aspect of writing and the arts — will be the special guest speaker at 9:30 and 11 a.m., Tuesday, Sept. 19, in the Rundell Hall Conference Center. He is currently the program director of Iconoclast Artist, a creative writing program that focuses on underserved schools and juvenile detention centers. He has published two student anthologies of poetry through Iconoclast and is also the author of “Cue the Writer: Cheers to the Notion of Love, Hate, God and Revolution,” a collection of short stories and poetry from a young immigrant’s perspective. 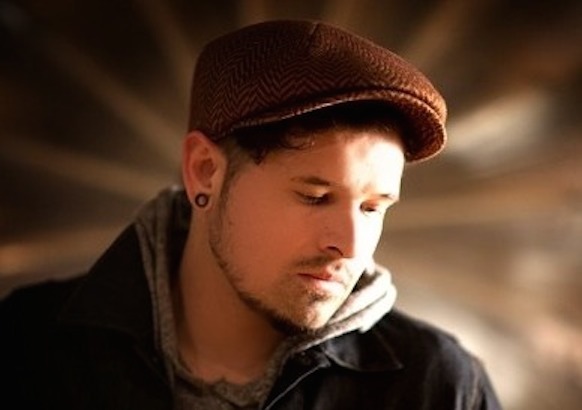 The recipient of the 2015 John P. McGovern Award for his work in the community with the arts, Lizama has traveled to more than 40 countries to advance his mission of using the arts as a tool to connect with others and change lives and perspectives. Vara will be the special guest for two “Follow My Feet” sessions at 9 and 11 a.m., Wednesday, Sept. 20, in the Rundell Hall Conference Center. An entrepreneur, professional foot model and recording artist who was raised by fierce Latina women in humble surroundings in Baytown, she has learned that her voice is her strongest asset and life is about diving headfirst into the unknown to blaze your own trail. Now committed to using her varied life experiences to give back to her community, Vara shares her personal journey in her “Follow My Feet” campaign to encourage others to realize their dreams are achievable and nothing is beyond their reach. HSI Week at Lee College will also include a bash and informational table at the Student Center and gazebo; games of loteria, or Mexican bingo; an open mic session; and the “What’s Your Label” panel discussion hosted by the MAS Raza Collective student organization. All events and activities are free and open to the public. For a full schedule, visit www.lee.edu. For more information, contact Victoria Marron at 281.425.6501 or vmarron@lee.edu, or Daisy Aramburo at 832.556.4026 or daramburo@lee.edu. BAYTOWN – Lee College has been awarded a $750,000 grant from Educate Texas to lead a regional consortium that aims to increase the number of underrepresented students earning science, technology, engineering and mathematics (STEM) credentials and entering the petrochemical workforce. Parties involved in the Gulf Coast consortium of the Texas Regional STEM Degree Accelerator initiative gathered in Houston on Thursday, Feb. 18, 2016, to announce the grant award from Educate Texas. Pictured (left to right): Woody Paul, ExxonMobil; Debi Jordan, Lee College; Christy Ponce, Lee College; Peter Beard, Greater Houston Partnership; Allatia Harris, San Jacinto College; Dennis Brown, President, Lee College; Craig Beskid, East Harris County Manufacturers Association; Carolyn Watson, Global Philanthropy / JPMorgan Chase; Richard McKeon, Helmsley Charitable Trust; Angela Oriano, Lee College; Ann Pham, Houston-Galveston Area Council; Melissa Duarte, Goose Creek Consolidated Independent School District; and Mike Krall, Lone Star College. Lee College is one of only five institutions of higher education in Texas selected to receive grant funds for the Texas Regional STEM Degree Accelerator initiative. Each recipient convened a regional consortium that includes two-year colleges, four-year colleges, K-12 partners and workforce partners. Consortium members have examined regional workforce data, identified the STEM pathways in which they plan to work and begun engaging faculty and workforce partners to achieve two goals: redesigning gateway courses in STEM majors to ensure alignment with workforce needs in the petrochemical industry, and providing professional development for faculty to improve teaching and learning in STEM fields. The STEM Accelerator project is developed in accordance with priorities for education and workforce outlined by the Texas Higher Education Coordinating Board and the Texas Workforce Commission. The grant is funded through the Helmsley Charitable Trust, Greater Texas Foundation, Council for Regional Economic Expansion and Educational Development (CREEED,) JPMorgan Chase and the W.W. Caruth, Jr., Foundation. It is the first time the Helmsley Trust has ever funded a project outside New York State. Nearly 30 local high school students discovered the magic of science, technology, engineering and mathematics (STEM) this summer as part of a week-long, all-expense-paid camp hosted by the Lee College Center for Workforce and Community Development. Funded through a grant from the Texas Workforce Commission Governor’s Summer Merit Program, The Magic of STEM Camp was designed for participants to learn how science impacts their daily lives. Campers conducted hands-on experiments in the chemistry and biology labs; tested their engineering mettle by programming robots; explored aviation, computer technology, and computer-aided design and drafting with Lee College instructors; and toured the on-campus pilot plant, which is modeled after the facilities found at real-world petrochemical plants and refineries throughout the area. At the end of the camp, students put their new-found skills and knowledge to practice in team competitions against their peers, with prizes awarded to the winners. The Magic of STEM campers also networked with professionals like NASA engineer Jessie Craft, who showed them how pursuing a STEM education could help build a solid foundation from which to achieve their goals. “I learned new things about careers I didn’t even know existed,” said Ja’Von Green, a junior at Goose Creek Memorial High School and an avid gamer now considering a future in video game development and design after attending camp. The Magic of STEM Camp will return in summer 2016. For more information or to be put on the waiting list, contact the Center for Workforce and Community Development at 281.425.6311 or visit leecollegeonline.com/workforce/ce.